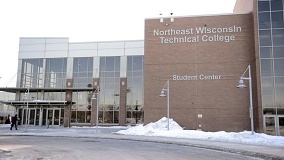 GREEN BAY - The Northeast Wisconsin Technical College (NWTC) Educational Foundation scholarship application for the fall semester is now open through April 15, 2016. All applications must have one letter of recommendation and be submitted by the April 15, 2016 deadline to be eligible for fall 2016 scholarships. Last fall we awarded $340,000 to over 450 students!